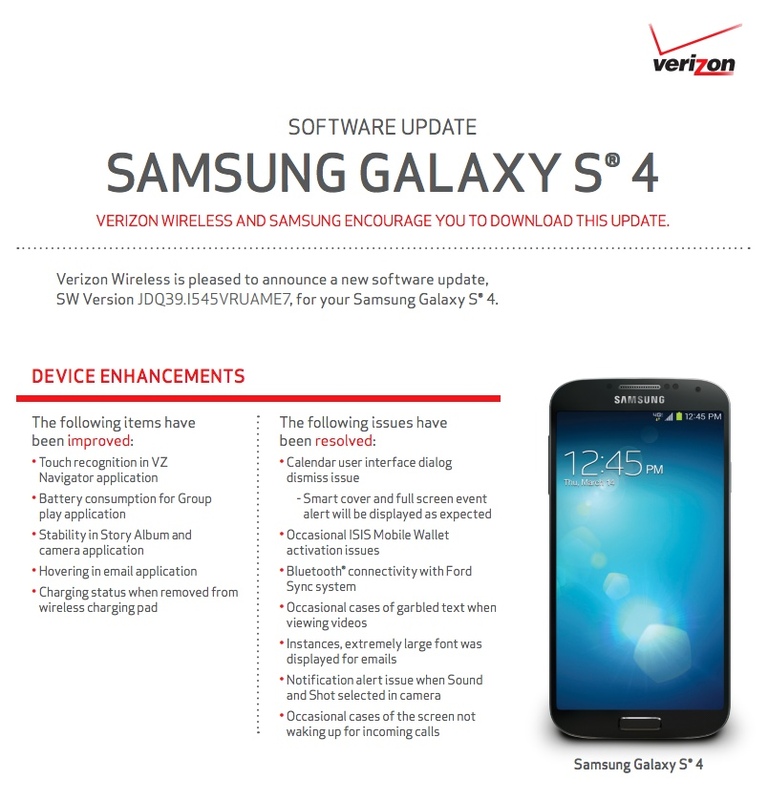 Verizon pushed out a substantial update as build VRUAME7 to its variant of the Samsung Galaxy S4 over the last couple of days, but seems to have forgotten to post the changelog, which they almost always do well before the update goes live. Well, that changelog is now live, though I’m sure many of you already installed the update. But in case you were curious as to what it fixed, enhanced, or improved, feel free to check it out both parts of the support document that we have included in this post. In terms of additions, the list claims that they added a WiFi quick toggle to the notification area, but I’m not seeing it. All I’m able to find is the same obnoxious permanent notification that wants me to turn WiFi on. They also added a new version of S Health, because we know how much you are all using it. 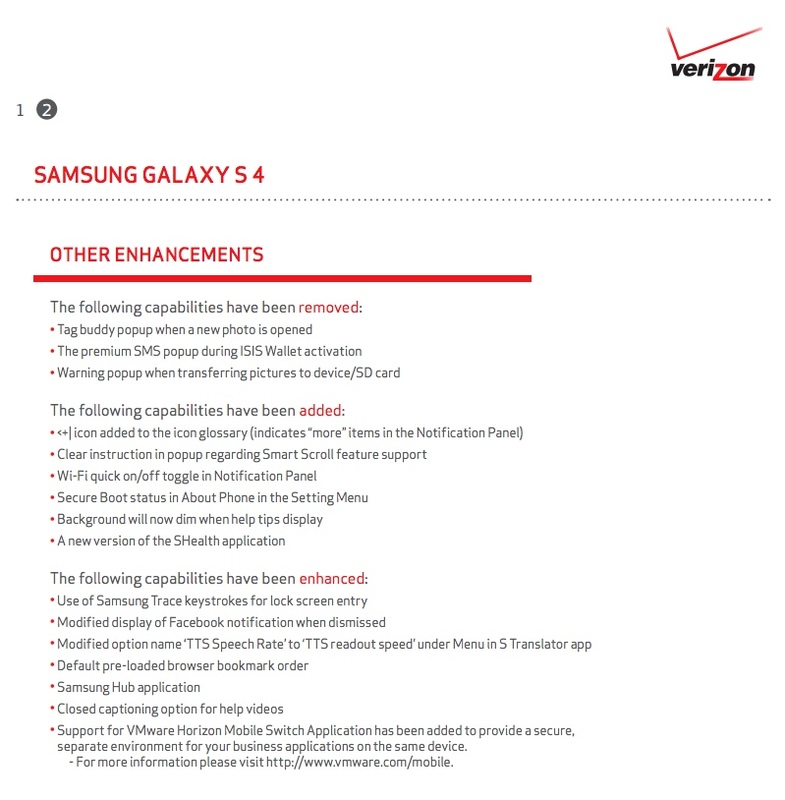 The rest of the update is filled with items that were “improved,” “resolved,” and “enhanced” like battery consumption in Group Play, hovering in email, Bluetooth connectivity with Ford Sync, screen not waking during calls, etc. There is no mention of apps-to-SD, even though we know it’s included. They also do not mention much in terms of security, but we can assure you that this patches all sorts of bootloader and root exploits.